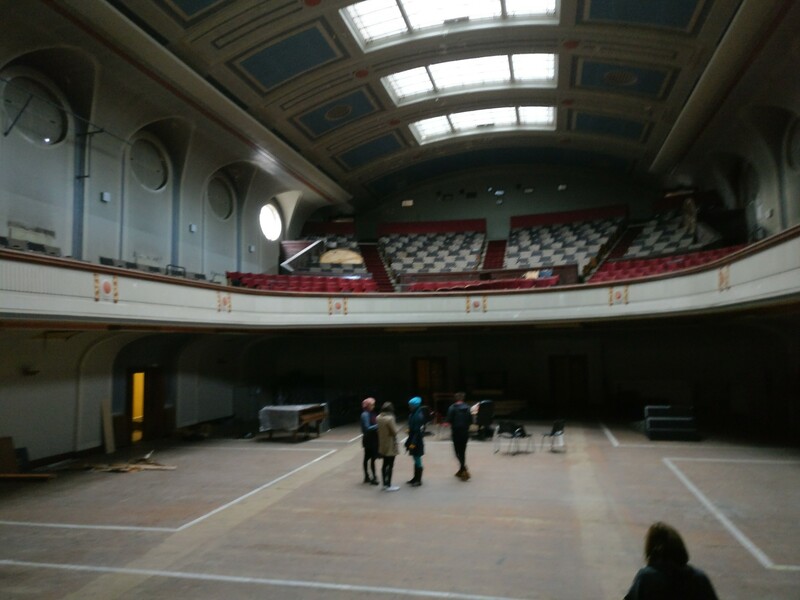 The Tragic Carpet team dropped by the fabulous Leith Theatre today for a site visit in preparation for Hidden Door Festival 2017. The space, as you enter, is breathtaking. I never tire of looking at the graceful lines of the balcony as it arches out from the wall, seemingly unsupported. The soft light from the rooflights streams down into the auditorium, creating a gentle focus in the centre that recedes invitingly into the shadows under the balcony. Long, parquet paved corridors lead us upwards towards ‘our space’ – the Male Instrumentalists dressing room. This is where we set to, measuring, discussing and sharing the thoughts and ideas the space drew from us.